Join us at the CIL Wednesday, February 27th for a Diversity and Inclusion Forum. The forum will feature guest speaker P.J. Jones, Assistant Director of Multicultural and Diversity Affairs at the University of Florida. 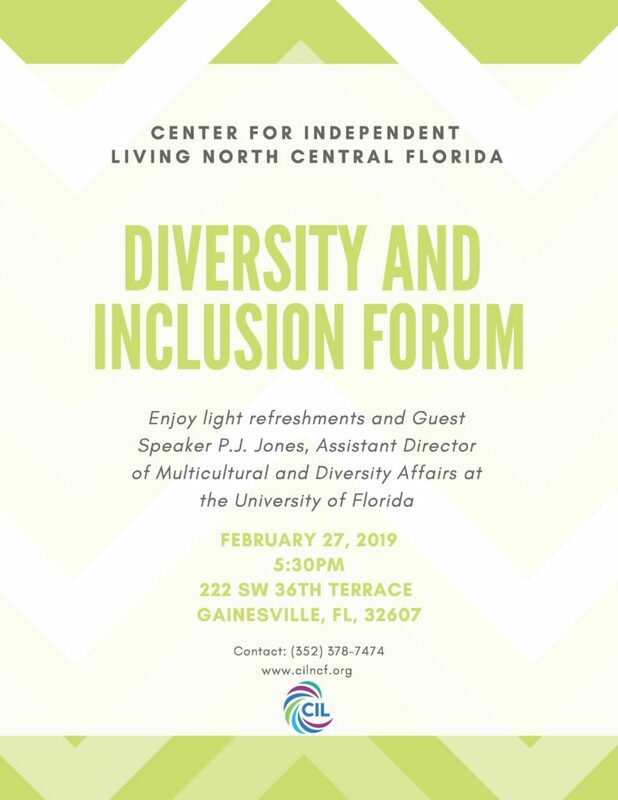 Jones will be discussing a variety of topics that include realizing the benefits of fostering a culture of diversity, considering diversity within the disability community itself, and examining issues related to intersectionality. This event is free of charge. The public is encouraged to attend and participate in this discussion as well as enjoy light refreshments. See the flyer below for further information!